Blank Page Muse: Caught in the Net! Can you believe how time is flying??? March already!!! 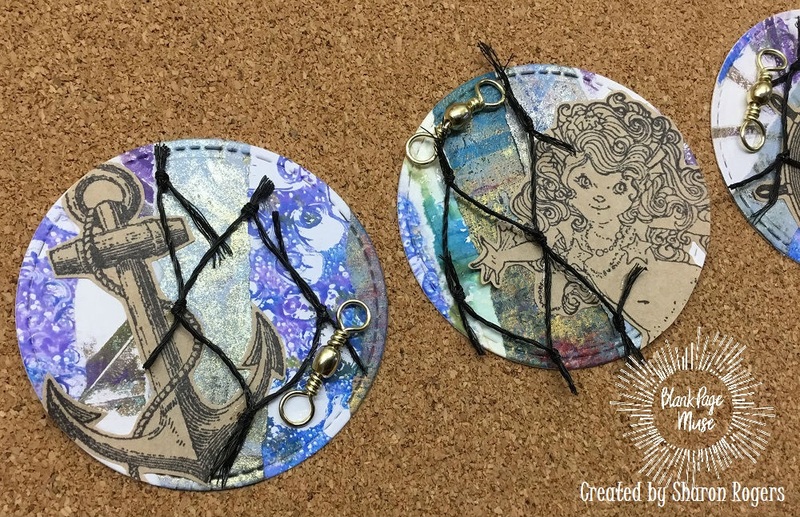 I hope you have been enjoying the DT creations so far this month - always so inspirational and always so many ideas for using your fabulous Blank Page Muse Stamps!!! I've followed our "Under the Sea" theme for my step by step today - who can resist mermaids and sea themed inspiration??? Embellishments: fishing net, brass fishing "barrels"
We will start by making our ATCoin "bases". 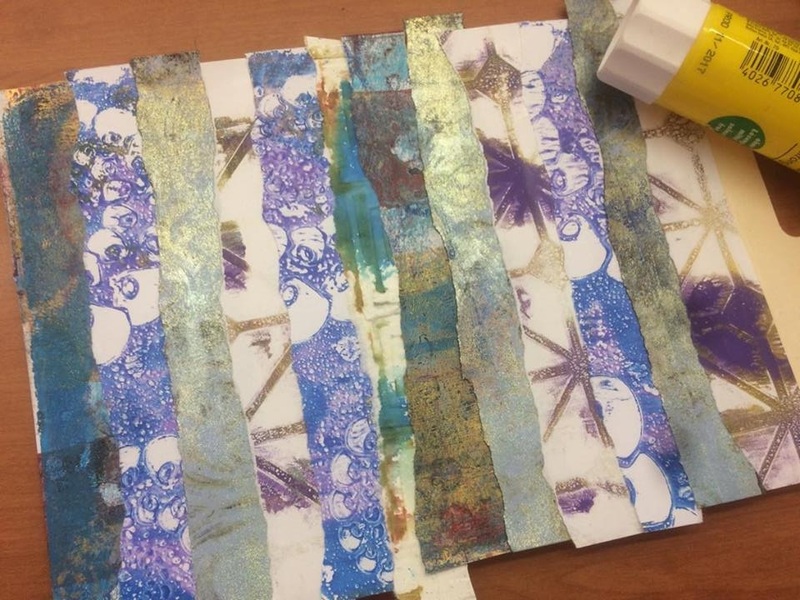 Tear strips from your gelli prints and adhere to the backing piece of card using a glue stick. Make sure to overlap so the base doesn't show through - we want to cover the entire area with the coloured strips! 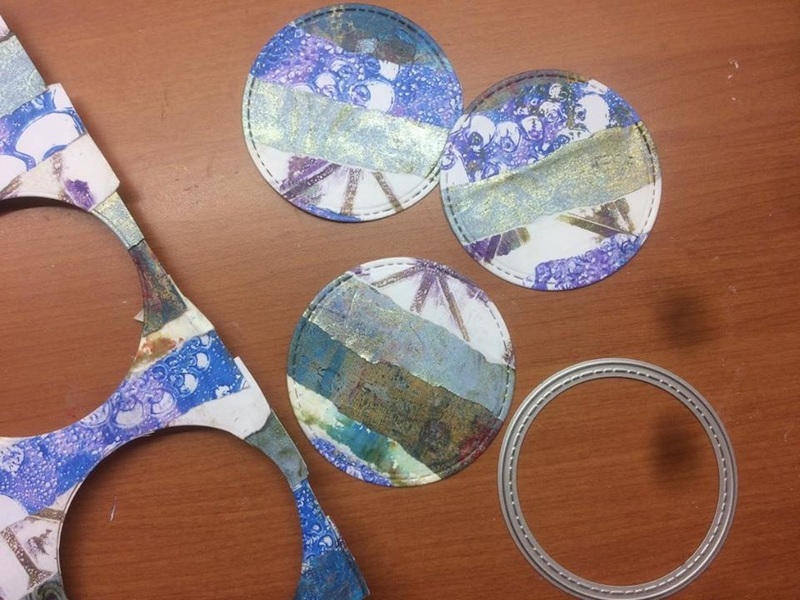 Once the glue has dried use the ATCoin die and your cutting machine to cut 3 coins from the decorated card. 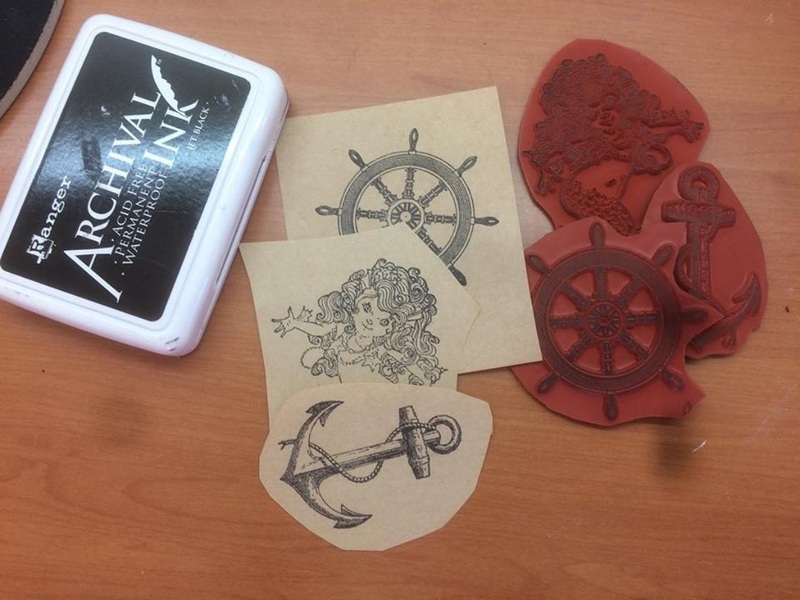 Next stamp your "sea/ocean" themed stamps onto kraft paper or card. Fussy cut the stamped images. There are soooooo many sea themed stamps on the store that you have and endless range to create with! Gather your embellishments ie. pieces of fishing net and fishing line attachments. Have fun at the fishing supplies store - they have some fantastic embellishments for use on your creations!!! Adhere the kraft stamped images on the ATCoin bases - overhang some of the images as shown below and trim them to the shape of the coin. Then adhere the net and brass barrels with glue. Finished coins ready to trade or add to your own collection! 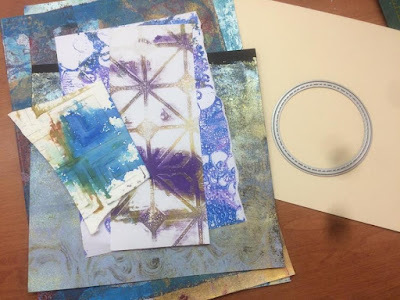 This idea works with any theme and stamping on the kraft paper is great for those of you who are not "into" colouring images and like something quick and effective! 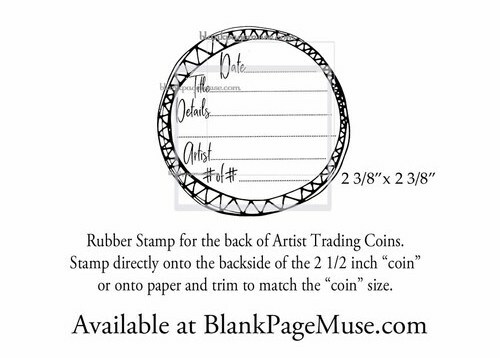 from Blank Page Muse to finish off your coins!! Thanks yet again for joining me today!! Here's all the links you need to "stalk" us on Social Media!!!!! I love the element of the net on these. Such a cool touch and it really adds to the stamped images. This is cool! Love them dear!